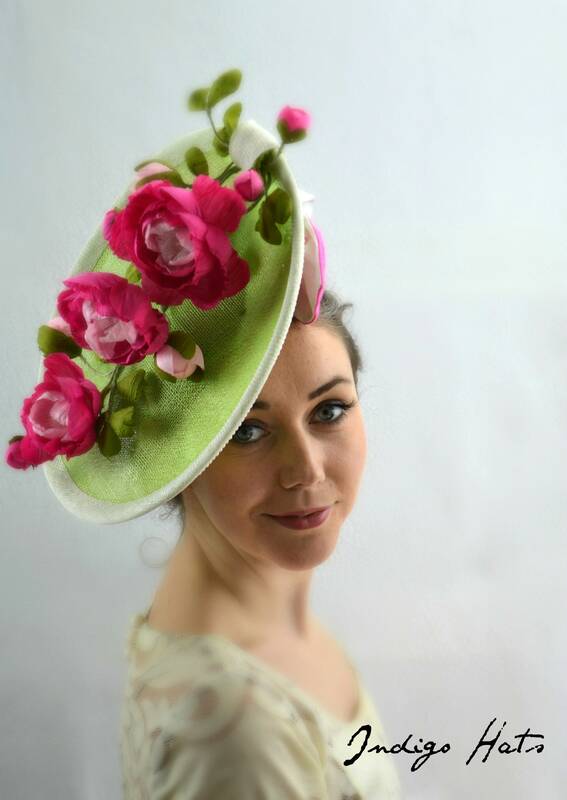 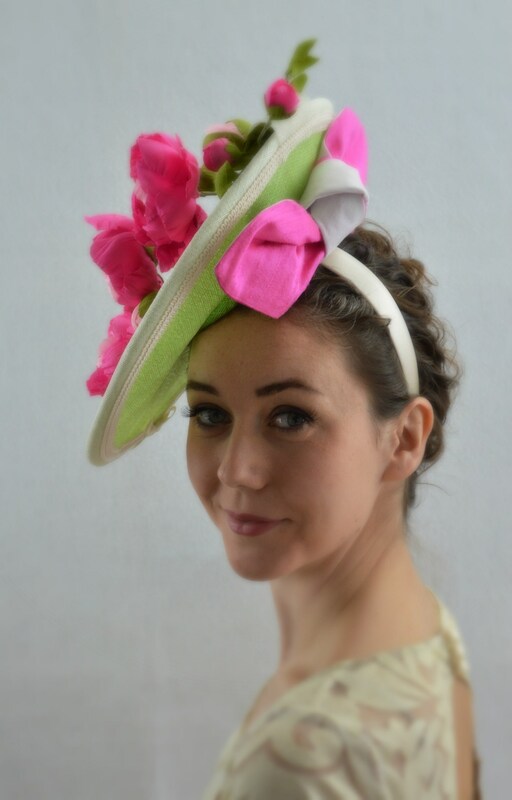 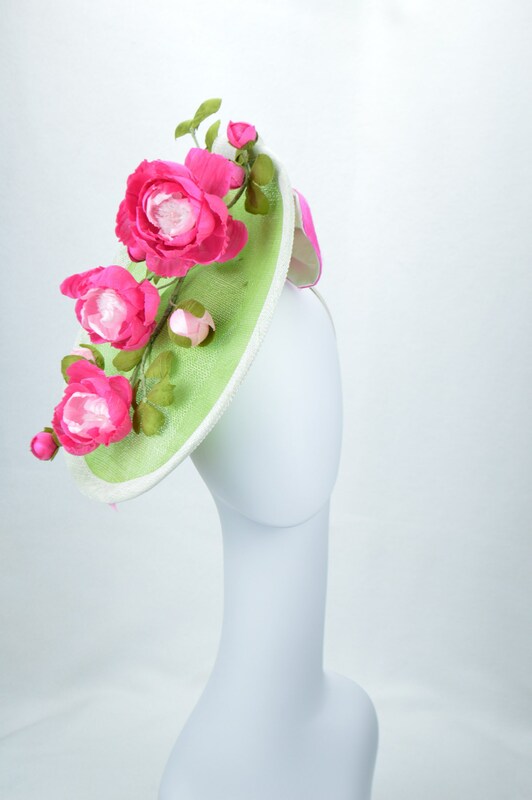 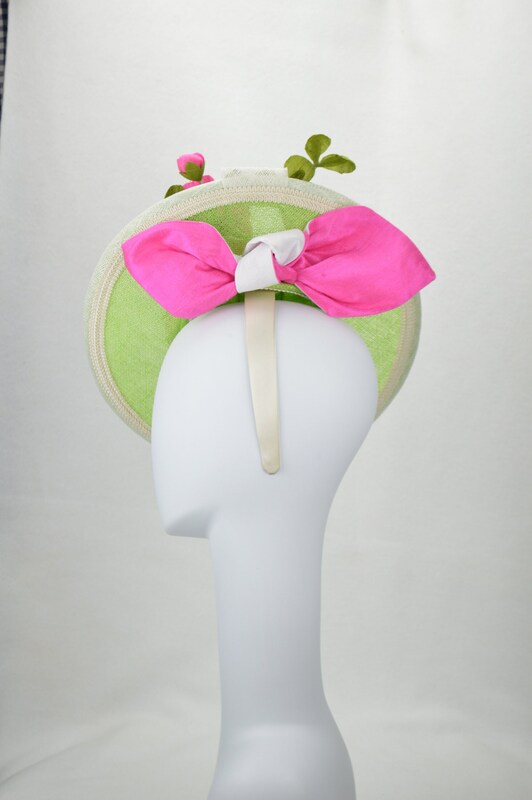 This is a very special hatinator that features my handmade dupioni silk flowers. 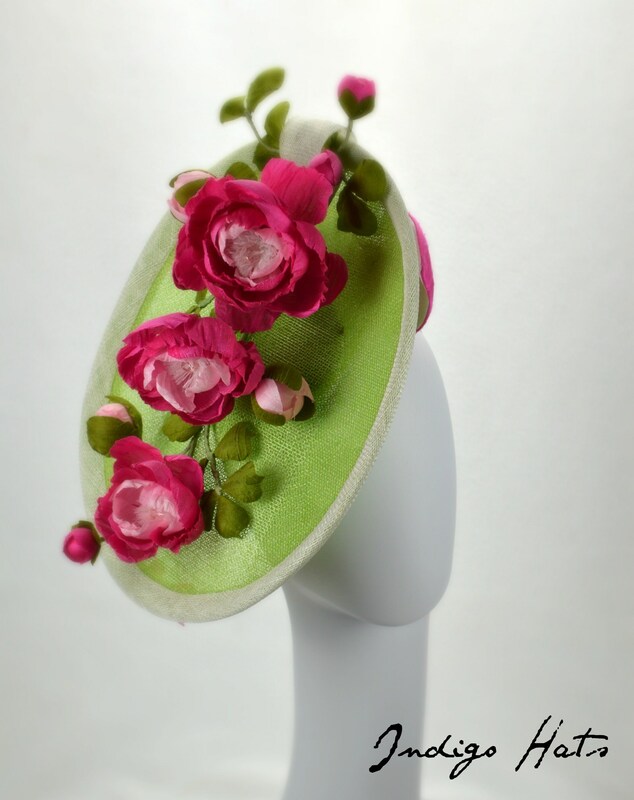 They are made using a traditional French technique that involves stiffening the pure silk, cutting out by hand and forming the shapes by heating with special brass irons, I added Austrian crystal for the centers. 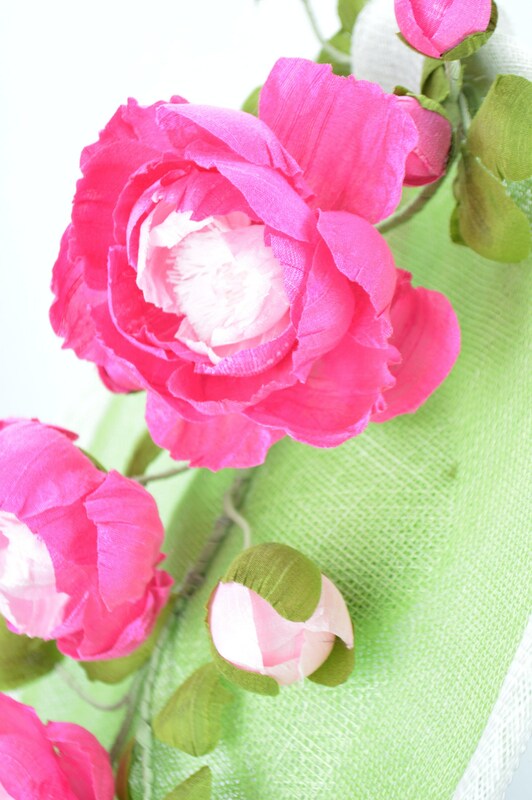 They are a delight to make and I absolutely love the look of them on a hat! 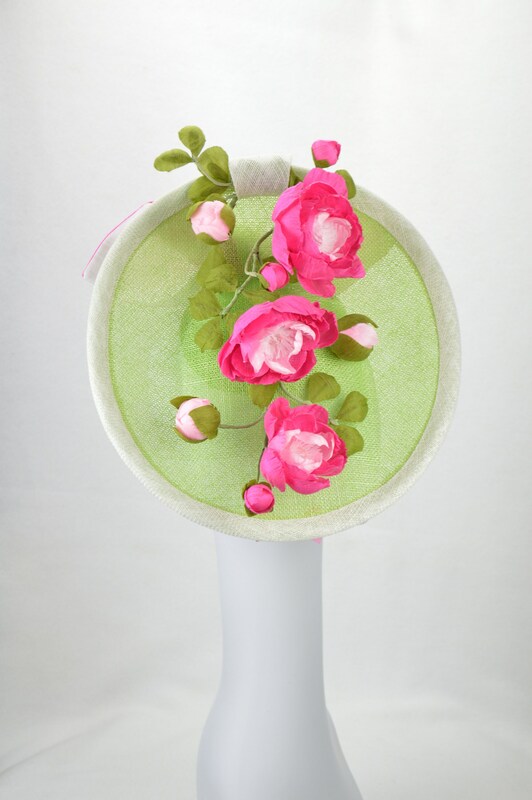 This saucer fascinator is made in layers of sinamay in a beautiful shade of green with an off white sinamay trim. 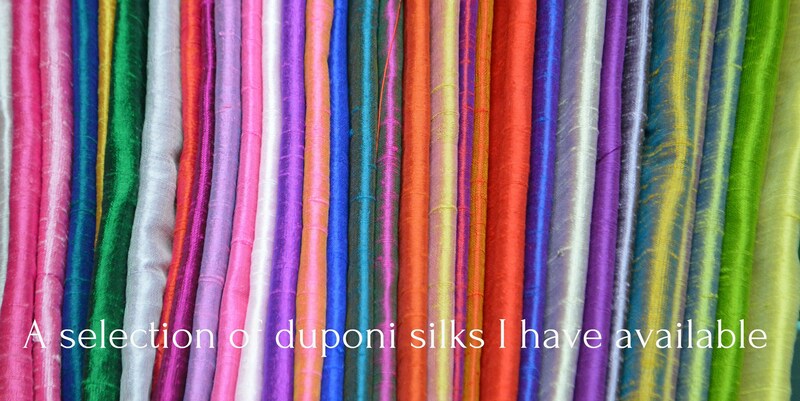 I finished it off with a dupioni bow in the same silk as the flowers. 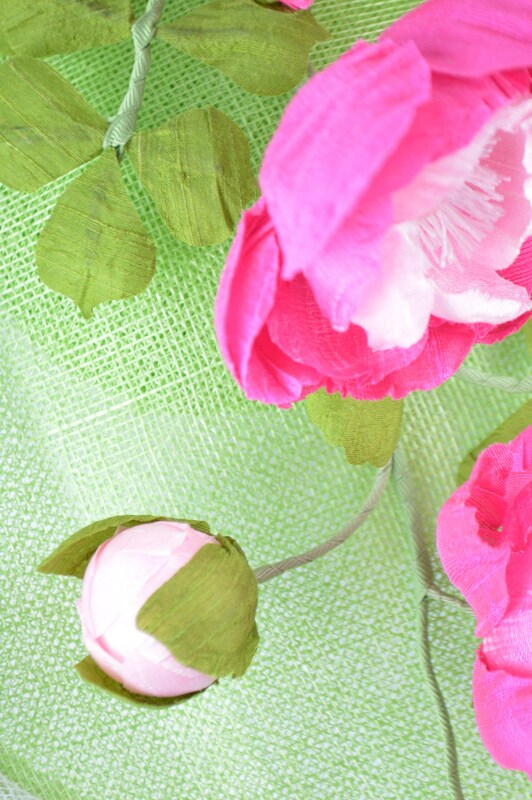 Its all set on a wide fabric covered headband or hair elastic (traditional and comfortable). 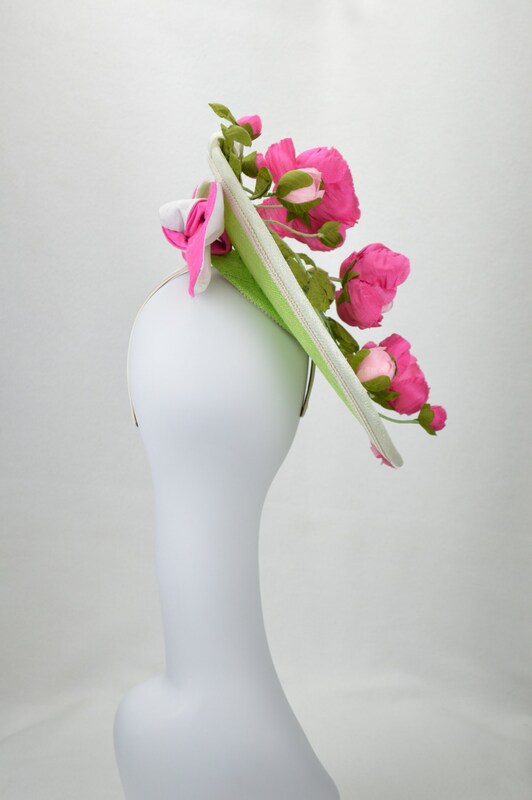 Main disc measures 12" x 13"
* as all of my pieces are handmade they may differ slightly from the photo - this makes them unique, just like you!